It takes a community to welcome and celebrate a new baby. What better way to thank your loving group of friends and family than to send them home with homemade baby shower party favors? These adorable little gifts are perfect for every type of gathering, from nautical-themed parties to adorable soirees with a woodland baby shower theme. Incorporate your favors into your baby shower decor as a centerpiece, across from the food display or even on a special table for guests to pick up before they head home. Add a personalized touch by engraving a gift with a sweet new mom quote to always remind everyone of this special day. Let’s take a look at 100 party favor ideas that are perfect for your upcoming baby shower. Add your own special touch on any plain white mug with a personalized message. 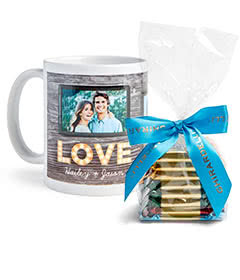 Fill the mug with chocolate kisses, popcorn or your favorite tea bags for later as a special small gift. Print out playful shapes on shrinkable craft plastic and attach them to gold craft wire. Add these to your guests’ wine glasses at the beginning of the party and encourage them to take them home! Your guests can carry your homemade creations wherever they go when you gift these mini body butter containers. Fill small jars with just coconut oil and vanilla extract for smooth hand or lip cream that’s easy to keep in a purse. This elegant piece makes a fine addition to the foyer of your home. Choose a message or design to frame inside this glass catch all tray and wrap up for all your guests to take home after your gathering. Design a conversation heart based on your favorite Valentine’s Day candy into a calming bath bomb. Include a collection of various scents in a take-out food carton and add a label with instructions. For a sweet treat, create rattles using marshmallows and brightly colored sprinkles. Then, tie fun ribbons around your treats. Package them up in groups of three in a small cellophane bag or even a mason jar. Upload your favorite photo, pattern or message onto the front of a glass votive candle. 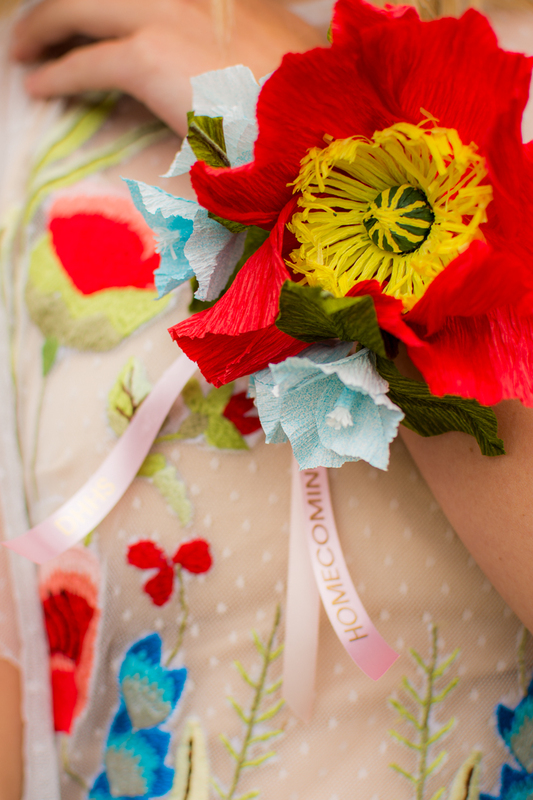 You can even mix and match designs to personalize for each guest. The candle comes in a range of cozy and fresh scents. Every guest at your shower can take home a personalized coaster to remind them of your incredible party. Trace and cut a heart from a piece of craft leather and write their names with a silver paint pen. Guests can reminisce about your shower all year round with these photo magnets on their kitchen fridge. Fill each with initials or images and mix and match to create a unique gift set. If you’re cozying up for a winter baby shower, package hot chocolate mix, marshmallows and a wooden spoon in a small burlap bag. Tie it all up with some ribbon and a loving message. Add a decorative cookie to the front of a homemade brownie and attach a popsicle stick for easy eating. Line a cake platter with your creations and place them out just before the end of the shower. Gather a collection of your favorite photos and print them onto a wooden coaster set. Choose from a range of patterns to surround each image and match your choice to the design of your baby shower invites and theme. Celebrate the magic of your big day by constructing these simple unicorn-adorned bookmarks. Include them in a small thank you note for your guests to take home and remember your celebration. Fit your favorite lip glosses into a hand-designed card to create the image of a colorful balloon in flight. Write that you’re “ready to pop” across the card and add a personalized thank you message. If you’re planning a garden-themed baby shower, bake up these mini flower-shaped treats for guests to take home. Use a cookie cutter to shape the cakes and then dip into white chocolate and rainbow sprinkles. Thank all your best ladies by sending them home with a rosé-ready wine glass customized for your shower. Pair with mini bottles of rosé wine or pink champagne. This magical time calls for a magical party. Send your guests home with a bit of magical glitter and a thank you note for supporting you in this special time. These also make excellent favors for any children that attend your party! If you’re gathering in the backyard for your party, gift this delicate notepad adorned with garden tools and greenery. Pair your gift with a newly potted plant or a pack of seeds. Great as a last-minute favor idea, DIY or purchase small leather accent bows and hot glue them to black hair elastics. Mix them up in a collection of different colors and connect several together with a paper thank you tag. Transform simple cookie cutouts into adorable baby carriage cookies with a bit of sugar frosting. Mix and match colors to complement your shower theme and wrap up a bunch in a cellophane bag with ribbon. Show off your rustic style by wrapping small gift boxes with twine and handwritten thank you notes. Add a footprint stamp to the back of each note. Fill the boxes with a tea bag and attach instructions for brewing. Mix up your favorite combination of homemade soaps or find bars made by a local shop. Wrap up with rustic twine and create a small note card with its scent and ingredients. Show off your baking skills by packing up homemade heart-shaped cookies as baby shower favors. For a fun touch, place the cookies in bags with colorful labels and include a personalized thank you message. Get all your guests ready for a summer day in the sand with a cotton beach bag. The phrase “beach life” blends perfectly with a summer-themed baby shower. Fill it with other beach time goodies and of course a thank you note. Collect a series of small surprises to thank your baby shower guests for celebrating your upcoming little one. Fill a tissue-paper-lined box with chocolates, lip gloss, homemade body scrub and a unique thank you note. These crispy candies will bring back memories of your own childhood party treats. Combine chocolate rice puffs with melted chocolate and peanut butter. Add a layer of sprinkles to the top before they dry and present in small candy papers. Head to the craft store and grab a random collection of small wooden circles, squares and triangles. Paint with primary colors and attach two to three pieces with earring hardware. Hang and display for your guests to choose on their way out. Remind your friends and family members of your love by designing a keychain with your favorite photo. The heart cutout and the phrase “love you to the moon and back” make it special, but you can customize the design to include shower information as well. Try out the newly popular piping tips to make flower-covered cupcakes. Package each one in an individual clear box and display as part of your centerpiece or party decor. Grab your favorite colors of nail polish and announce your baby’s gender with bottles for your whole party. Print out stick-on labels to cover the nail polish bottle and add a ribbon and thank you note on the cap. Wrap up popcorn with colorful craft paper for an old-fashioned treat and easy baby shower favor. Mix and match your color schemes and display in a plastic or glass vase for guests to pick up before they head home. Fill a small mason jar to the brim with paper confetti and nestle a homemade soap or bath bomb in the center. Close up the jar with a piece of ribbon and label with your baby’s initials, the party date or a thank you message. Throwing an adventure-themed baby shower? Send your family and friends home with jars of homemade trail mix. Layer your ingredients in a small mason jar and top your lids off with gingham fabric swatches. Celebrate the popular popcorn shower theme by making seating cards from large cups of popcorn. Display your guests’ names on stickers at the front of the cup to guide them to their seats. Send your new baby on an adventure of their own in a personalized storybook. You can give all your guests home with this one-of-a-kind gift to remember your big day and thank them for their support. Send your guests home for a night of self-pampering with these floral bubble bath bombs. The natural oil-based recipe uses floral ingredients and fits easily in a range of elegant molds. They’re also gorgeous for any bathroom theme! Double up on baby shower brunch place cards and party favors with this unique project. Glass paper weights with a spot for small flowers and a floral place card make for versatile gifts to take home and display on a desk or mantel. Add each letter of your guests’ initials on a herringbone planter box. Fill with a lush plant or tiny succulent and use your collection of favors as baby shower decor. If you’re heading into the Christmas season when you throw your baby shower, gift a set of hand-painted wooden ornaments. Tape off each half of the beads and add a layer of metallic paint until you get the look you desire. Drill a hole through the center of each to thread a string for hanging. Add a layer of iridescent cellophane to the outside of your favor bags or boxes to add a whole new layer of glam and sparkle to your gift. Secure with glue and add a thank you message to the front of each. Glue a cork to the base of a wooden craft block and use a wood-burning wand to etch beautiful designs onto each bottle stopper. Your guests can take home one-of-a-kind art pieces to commemorate your day of celebration. Mix together granulated sugar, coconut oil, raspberry extract and lemon extract to make this irresistible sugar scrub. These make excellent baby shower favors for a summer party filled with fresh fruit. Infused sugars can top off cookies, toast and peanut butter or even pancakes and waffles. Mix raw sugar up with spices and freeze-dried fruits to make a variety of natural flavors. Label each and leave out for your guests to take home their favorites. Celebrating the baby in the summer? Transform these small fruit containers into watermelon-themed favor boxes with just a bit of pink and green tissue paper. Fill with snacks and small favors that match your color scheme. Your guests’ faces will light up when they see these tea candles in beautifully patterned tins. Include a thank you message on the top of the candle tin so they think of this beautiful day every time they light up a room. Cook or purchase a fresh-baked loaf of bread and gift it the old-fashioned way! Wrap in a customized tea towel with your choice of colors, then design and secure with a piece of twine. Transform homemade or store-bought butters into delicious spreads. Use an upright mixer to incorporate herbs and spices and package up in hand-labeled jars to go. Need a fun and easy way to gift cupcakes as baby shower favors? Punch a hole at the bottom of a paper cup and thread a straw through the center. Attach the tip to the bottom of a thick cupcake holder and lift the cupcake up with a little push. Celebrate with a playful pink color scheme throughout your baby shower favors. Attach a mini bottle of pink champagne to a strawberry lollipop, ribbon and pink glitter thank you notes. You can even include your bubbly theme in your baby shower invitation wording. Announce the gender of your little one with these colorful paper bags, a big bright announcement and a pink or blue cookie. Cut a hole in the front of the bag so that when your guests lift the card, it reveals the color of the icing! Everyone loves receiving a bouquet of roses. If you’re throwing your party in the height of summer, celebrate the seasonal blooms by breaking up larger bunches into small arrangements and wrapping with craft paper and twine. Add a photo, design or personal message onto the t-shirt of a snuggly teddy bear. This is a great baby shower favor idea for guests with kids of their own. Surround the room of your party with the bears and encourage your guests to choose their favorite. For a rustic baby shower, try handing out trail mix in jars decorated with a classic gingham fabric. Add a small tag or thank you note on a piece of twine around the lid and include the recipe for the delicious mix. Celebrate a cactus-themed soiree by gifting clay candle holders to your guests. Shape the cacti with air-dry clay, paint to your desired look and pair up with a green or white candlestick. For a great last-minute favor idea, head to the store and purchase several large floral arrangements. Break them up into smaller bouquets and wrap with newspaper and a ribbon. Looking for a personalized gift for every guest? Cut out temporary tattoo letters and adhere them to the side of the mug with a damp cloth. Paint with two coats of white glue to make it dishwasher safe. Create your own deliciously adorable rattles using Oreos, white icing and colorful candy dots. Wrap them up in cellophane and leave with a thank you note for your guests to spot on their way home. Do your friends love to gather for game night? Gift this unique idea by adding photos of your friends and family to the back of a deck of playing cards. You can even work a hand of your favorite game into the party! Transform a paper origami bunny into a solid planter by adding a coat of Plasti Dip paint. Once it hardens, fill with soil and succulents, then line your table with the planters to thank your guests. Transform a bath into a rose-scented spa by gifting these small beakers filled with homemade bath salts. Scent with natural essential oils and mix in dried rose petals. Add homemade thank you stickers to the front of each beaker. Looking for a way to send guests home with a tasty slice of baby shower cake? Construct a sprinkle-adorned slice out of paper and hot glue and fill with cake or candy. These hand-dipped candles blend perfectly with a sleek, modern party design. Mold your wax in plastic Easter egg containers and dip in a concrete mixture to create an asymmetrical look. Your friends and family members are real “gems” for playing such an important role in welcoming your new baby. Gift jewelry or gem-inspired candies with a pun-filled thank you card. Spiced honey warms up a cup of tea or sweetens a piece of toast. Combine local honey with cloves and cinnamon and seal into a small glass jar. Include a note of ways to use this tasty combination. Build your very own candy boxes with origami paper. Follow the step-by-step instructions and fill your paper container with gumdrops, hard candies or popcorn! All your friends will want this eco-friendly bag close when it shows off your favorite photo together. Add a message or upload an image of you and your friends. Guests will never mix up their drinks when they sip from these handmade fruit straws. Attach mini balloons to a striped paper straw and add paper leaves to complete the look. Make enough for guests to take one home on their way out! These faux succulent jars require no maintenance and look just like the real thing. Tuck the plants into two inches of sand at the base of a baby food jar and hang with craft wire. Line them up with thank you notes for your guests to take home. Include a playful baby shower pun on your favors by handing out cans of pop with handmade wrapping. Add personalized stickers with a note of gratitude, the date and “about to pop!” written across the top. Need the perfect holiday baby shower gift? Choose from a collection of festively shaped metal plate ornaments and print a photo or photo collage to display on the tree. Include a celebratory message on the front. Create eye-catching gift boxes from colorful patterned printables. Measure and trim with the attached instructions and fold into a box and lid. Fill with your homemade gift or favorite edible treat. If you’re celebrating your new baby with an animal-themed gathering, design these adorable gold and silver gift jars by gluing a plastic toy to the top of each jar and spraying with metallic paint. Fill with candy and adorn with a note. Add a bit of mica powder to your homemade soaps and set inside a crystal mold to make these gemstone soaps. They make beautiful baby shower favors and blend in with any elegant party design. Add a personalized message etched into the front of a mason jar and fill with soil, stones and herbs. Add a tag with the name of the herb and arrange into a centerpiece at a garden-themed baby shower. Structured waffle cones do an excellent job at holding newly sprouted flowers. Include one bloom per cone and line up at your garden-themed baby shower. Throw a baby shower sweeter than honey with these bee-themed designs and shower favors. Line a table with small jars of local honey, honey sticks and rock candy. Be sure to include favor bags for easy travel. Add a layer of gold leaf to the outside of a terracotta planter and fill with faux moss and handmade paper succulents. Write a thank you note on a small paper flag to adorn your plant. If you’re celebrating the “arrival” of your new family member with a travel-themed shower, make or buy hot air balloon and airplane sugar cookies. Gift them in a small paper box with a thank you note. Support your local bakery—or make something of your own—and package treats in a traditional baked goods box. Wrap with twine and add a note of thanks for their love on your big day. Looking for a unique baby shower gift packaging idea? Add a doily and a pink ribbon to the top of a brown favor bag to give the bag a lovely vintage feel. Everyone needs a quality toiletry travel bag or small clutch for holding odds and ends. Add a monogram, design or date on the front of this canvas pouch and fill with goodies as a baby shower gift set. Whip up some egg whites, sugar and cream of tartar and mold into pink heart shapes. Sandwich a lollipop stick between two hearts and line with rainbow sprinkles. Spell out a special message across the table with the favor boxes themselves. Find these boxes at your local craft store, paint with the color of your choice and fill with tasty treats and a bed of confetti. For fun homemade baby shower favors, fill jars with popcorn and candy and place patterned fabric on the lid. Print out your own labels with a playful popcorn pun to tie your theme together. Drop one of these invigorating cubes in your shower and turn your bathroom into a scented sauna. Make them at home with just six natural ingredients and wrap a few up in cellophane to gift as party favors. Hand out a classic fall candy at an autumnal shower, like these little pumpkin candies. Include a tiny note with a pumpkin or harvest-themed message to thank your gifts for their love and support. Send away your party guests with a boost of sugar by baking up a batch of cake pops. Roll each pop in a different assortment of colored sprinkles and place the jar by the door with a message to take one as they go! Pass the bubbly—or sparkling cider—around in these baby shower coupe glasses. Paint the base of each glass and add each guest’s name in permanent marker. 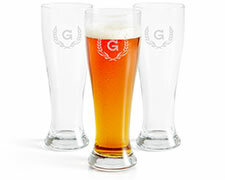 Add any color or pattern of your choice to customize each glass. No matter the weather, fill paper umbrellas with colorful candies and wrap up with a bit of tulle. Tie the favor into a rainy-day-themed gathering with clouds and rainbows. Construct these cheerful keychain adornments in just minutes by combining a bunch of multicolored yarn and securing with beads and twine. Attach a keychain clasp and lay out with thank you notes for your guests to hook onto their keys before they leave. Add a little competition to your baby shower favors by challenging your guests to a memory game. Include a series of photos to pair with the sweet painted animals on each set. Take your guests on a trip around the world with suitcase and globe-shaped cookie favors displayed in a vintage suitcase. Pair each cookie with a handwritten note thanking your guests for joining you on your adventure. Succulents are popular party favors as they’re both affordable and require little care! Pop them into a hand-painted planter or tie a ribbon around the original container with a thank you message. Impress your guests with adorable bear cake pops. Flavor with chocolate and peanut butter. Make owl versions with the same ingredients for an owl baby shower! If you’re a true pie enthusiast, why not send your guests home with a hand pie of their own? Create the miniature pastries in cupcake tins and package in handmade pie boxes. Mason jar gifts always make unique favors for any celebration. Fill a small jar with pedicure supplies like polish, clippers and a file. Tie a bright ribbon or piece of twine around the lid and include a thank you sticker on the top. Add an elegant mug to their collection. Chose a photo, monogram or design by uploading your favorite image to the mug. Add extra gift items to pop inside like chocolates or hot cocoa mix. Bundle together all your favorite homemade scrubs and bath salts into a spa-worthy kit. Hand out as baby shower favors so all your guests can pamper themselves after a day of celebration. Add some sparkle to your baby shower by handing out glittery gold candleholder favors. Repurpose small glass jars or votives by lining the base with a thin layer of glue and rolling in your choice of vibrant glitter. No need to stick to X’s and O’s with this homemade tic-tac-toe board. Paint a square wooden board, add copper lines with craft tape and shape your choice of game pieces from easy-bake clay. Choose baby-themed pieces to match your shower! There are endless ways to design DIY baby shower favors. Choose the ones that best display your crafting, baking and artistic skills or personalize to your baby shower theme. Whatever you choose, these favors are sure to end your baby shower on a loving note.